I will machine embroider this darling design on a new Gildan ultra blend sweatshirt. All shirts are unisex sized. The design as shown measures 9"x6". This will vary according to how many angels you will have. The max. number of angels is 8. 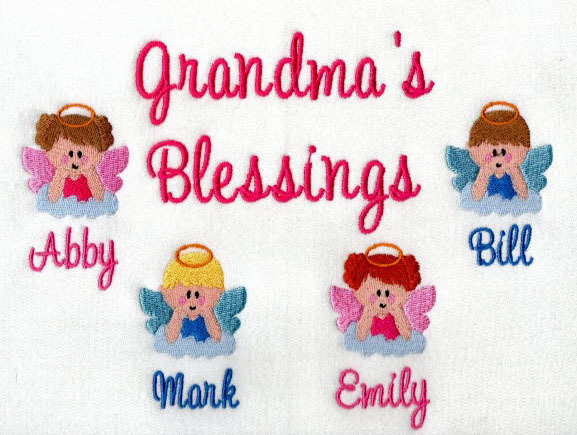 The price includes up to 2 angels and each additional angel is $3.50. You choose hair color and skin tone. This design in not available in tee shirts.